There is no better way to spruce up your indoor space than with some luscious, green indoor plants. Whether you are completely new to the world of plants and flowers, or if you are an established horticulture specialist and home garden enthusiast, we can give you some fun and creative interior plant design ideas for your home, office or any other space. Decorating with plants can be as simple as putting a potted fern in any corner of your home, and it can be as complicated as installing a whole living wall of gorgeous green plants. Regardless of your design motivations and inspiration, we guarantee that interior design with plants will immediately liven up a space, clear the air and increase production, boost good moods and reduce health issues. The benefits of interior plant design go beyond basic aesthetic charm. Statistics and studies show that indoor plants help clarify the air from toxins, help boost mood and productivity, reduce stress, absorb noise and improve overall well being. Who would have thought that a small green plant was capable of so much? Although it is enough to simply pick out any indoor plant, put it in a pretty pot and stick it in a corner, it’s also fun to be creative with flower placement and design. Whether you use mason jars for succulents or you install hanging terrariums, indoor plant design will add a little something extra to your home. Here are a few creative interior plant design ideas to get you started. Just like a fabulous pair of shoes or a colorful scarf can make an outfit, a plant in a great container can be the singular home accessory that will alter and complete the look and feel of a room. You can plant in virtually anything. Jars, cans, bottles and bowls – anything that can hold soil and water is perfect for most indoor plants. Now, if you pick a finicky plant that needs more moisture or a drier soil then make sure its home accommodates to its needs. Use glass bowls to make pretty arrangements and set them as centerpieces in the living room or dining room area. Use an old storage bench and take off the lid. Put some soil in the storage area and plant your favorite plants for a unique, yet timeless effect. Create a planter out of fabric. You can either find one online or you can try to do it yourself. Make sure to use a breathable and soft material, like wool, and plant a variation of colorful moss and greenery. You can even take this arrangement on the go! Use mason jars and plant individual cactus or succulent plants in each jar. Line them along your kitchen window! Use classic glass coke bottles and store skinny plants in them for a unique, yet classy look. There are many ways to get creative with what type of container you use to store your plants. Coffee cups, vases, candle holders and many other items can be used to transform your indoor plants from generic pots in the corner to unique fixtures that immediately draw the eyes of everyone in the room. No one said that plants absolutely have to be planted in the ground or in a pot that sits on a table or on the floor. Plant design has come a long way and there are various things you can do to enhance the experience and effect of your indoor gardens. Installing an entire vertical wall of plants is eye-catching, stunning, and beautiful and it opens up the room to make it look bigger. Not to mention the fact that the color will act as an accent wall in your home as well as keep the air fresh and clean. If a vertical wall is too much for you, then you can opt for the same effect on a smaller scale. Instead of planting an entire wall, add in little pockets to your standing wall. You can buy mini vertical wall planters and add little pots of your favorite plants in each pocket. The effect is stunning yet simple. If you don’t want to plant on the walls, but you are still looking for a unique place for your plants, hanging terrariums may be the option for you. These mini orb gardens are cute and extremely easy to care for. Every person is different and we all have different styles and tastes and are inspired by different things. What may work for one person does not mean it’s going to appeal to the taste of another. 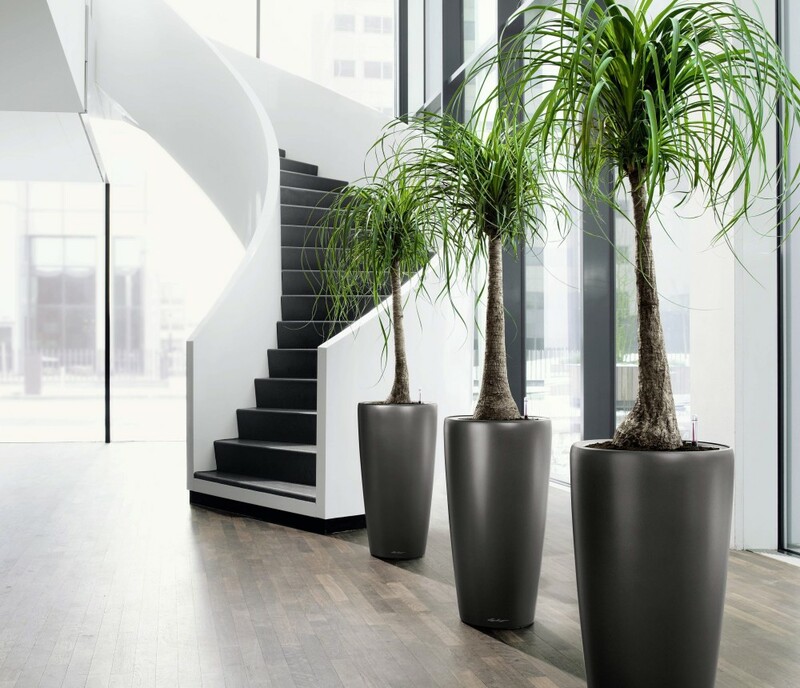 f you need help in picking out the best indoor plants for your home or if you are seeking design guidance don’t hesitate to connect with our team at Interior Gardens. We are ready and willing to answer all of your questions and assist you with all your plant needs.